Another week has gone by in Wyoming! The weather hasn’t been too bad here- it snowed maybe an inch total this week. I heard that this coming week is gonna be back down to -20F… yikes! Guess it’s all part of the experience. Gotta love those narrow dirt roads! Last preparation day was pretty fun, we had a zone activity up in Cody. We played a lot of group games, and then had an ice cream sculpting contest! My companion and I made Temple Square, complete with the Tabernacle. It was pretty awesome. On Tuesday, we taught a lot of lessons, which was sweet. And we also planned more of our ward activity! We titled it “MTC: Meeteetse Training Center”… lol, we were pretty proud of coming up with that. We’re going to have a bunch of different stations that everyone can go around too – I’m excited for it! For Wednesday’s seminary, I introduced them to “scripture mastery basketball”, and we had a blast! I played it way-back-when when I was in seminary. The essence of the game is that you try to make as many free-throw baskets as you can before the other team finds the scripture mastery. So fun! On Thursday, my companion and I were both generally broken. She had a killer headache, and I somehow managed to mess up my knee. Just keep my knee in your prayers if you would! I’m sure it will heal soon, and thankfully it hasn’t interfered with the work too much. Friday was a blast! We went out to the Ward activity for a little bit, and it was ice-fishing! Yep, people really do it. We came at the very tail end of the activity, but we still got to see how it all worked and eat some amazing fresh fish. 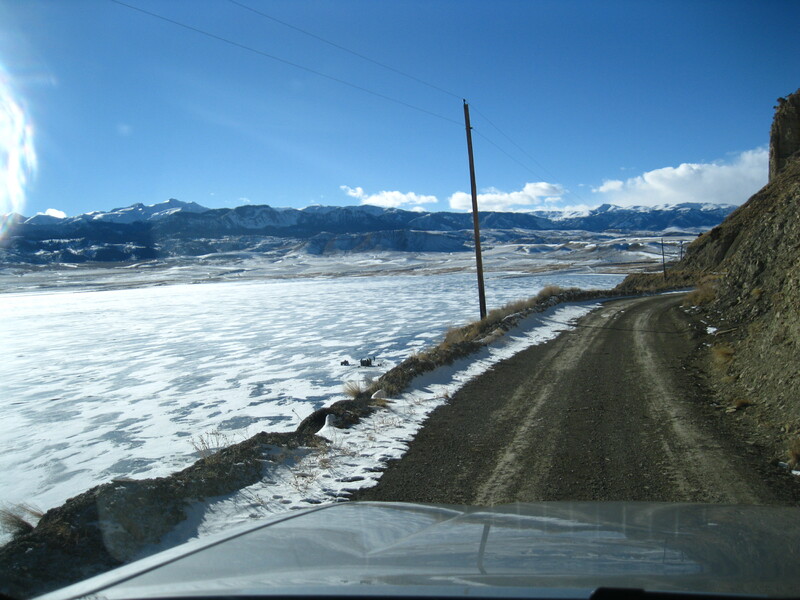 It was out on the local Upper Sunshine Reservoir, and I sure was glad to have a truck to maneuver around! Ain’t no way we could have made it with the Corolla. Oh, and I firmly believe that I serve in the most beautiful mission in the States. It’s seriously like being on vacation it’s so scenic. Prettiest. Mission. Ever. 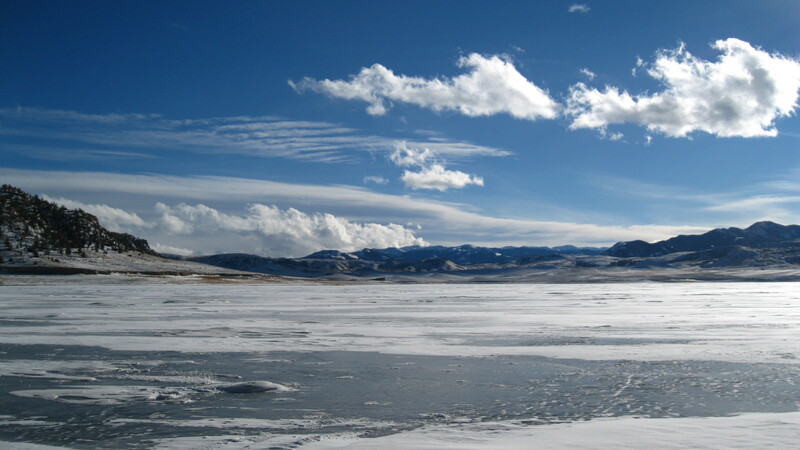 That’s the Upper Sunshine Reservoir where the ice fishing took place. Saturday and Sunday were both really good days for us too- we were able to meet with our new investigators. We’re still waiting for next week to teach them the Restoration when their member-friends get back in town, and it should be really good!! It was exciting this weekend too because a less-active that we had been working with (who’s 97! ), came to church again and he is officially re-activated! It’s amazing to see people come back to the gospel. Our best tool in Meeteetse is that everyone knows us. We do not know all the people here, but I think they all know us! People in the community always tell us that their friends tell them where they saw us and what we have done. All the older people (90% of Meeteetse) simply call us “the girls” or some even “my girls”. It’s fun to hear that we are part of the village gossip! It really has been good for Meeteetse to have full-time missionaries, and I feel so blessed to have a small part in it. That’s about it for me this week! I hope you all have a wonderful start of February, and I love you!!!! ← January is coming to a close!